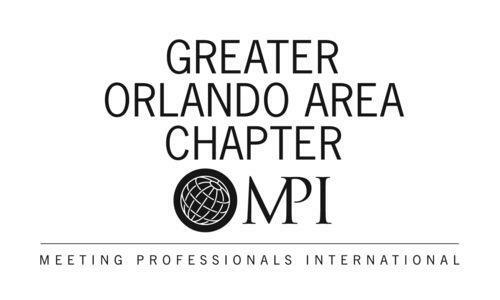 Max King Events was thrilled to be a part of the Meeting Professionals International Greater Orlando Chapter annual Ignite Awards and Celebration. 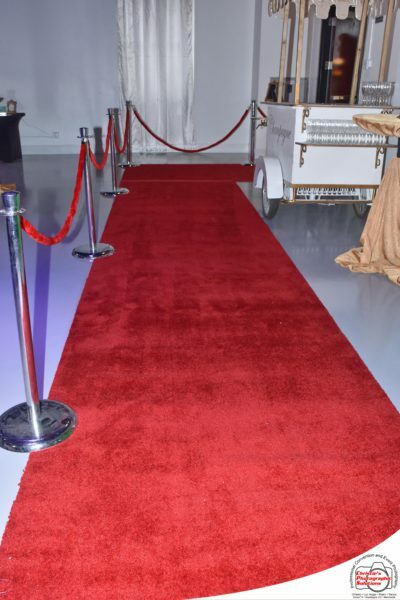 Awaiting guests as they entered on the red carpet was our Champagne Cart, making its first debut at an industry event. 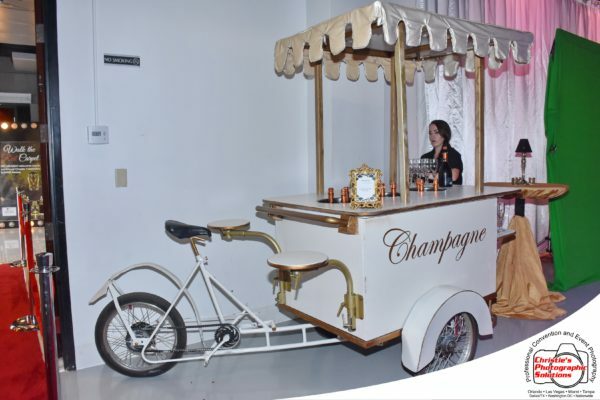 The fully functioning cart was finished in an elegant antique white and sported sophisticated gold lettering that read, “Champagne”. 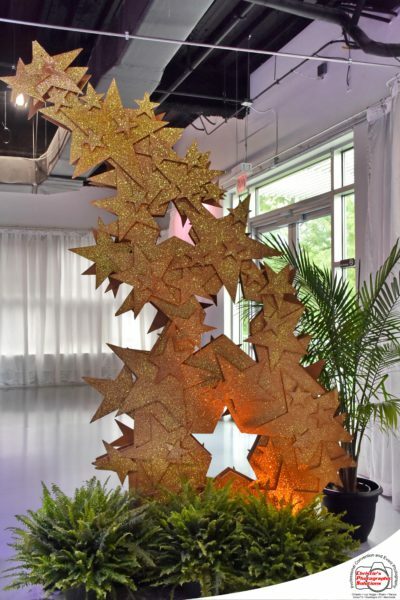 A scalloped off-white canopy topped the cart which was trimmed with gold piping. 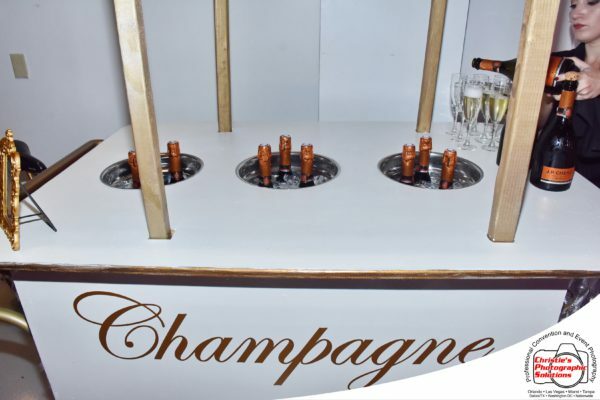 The three restaurant-grade buckets perfectly chilled the champagne bottles while two additional swing-out tables stored glasses of champagne in anticipation of guest arrivals. It was a perfect way to begin the celebration! 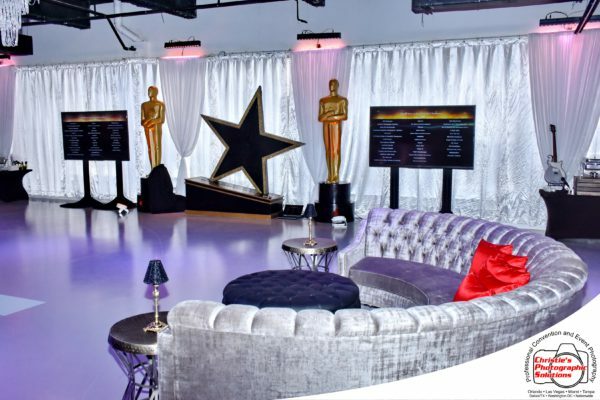 Two oversized Black and Gold Stars stood opposite to each other on contrasting ends of the room. One star created the ideal backdrop for the Our DJ Rocks DJ booth, while the other was framed by two of our iconic Awards Statues. 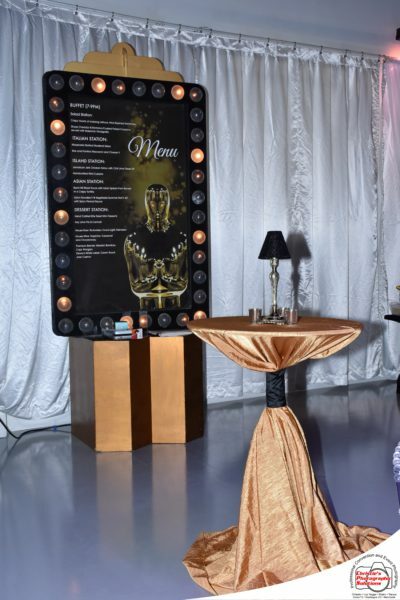 Our Glow Bar was stationed towards the back of the room where refreshments were served throughout the evening. 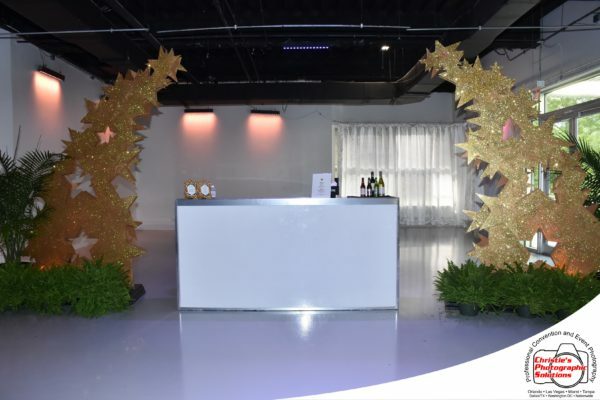 The bar was flanked on either side by our gold 10’ Star Sprays. 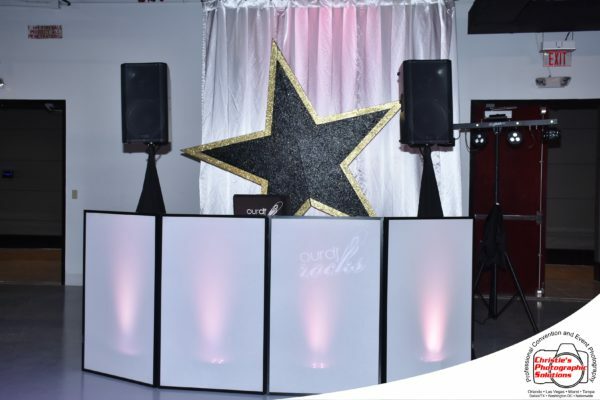 Our Deco Chase Light Marquees were used to display the menu items catered by The Hard Rock Café. 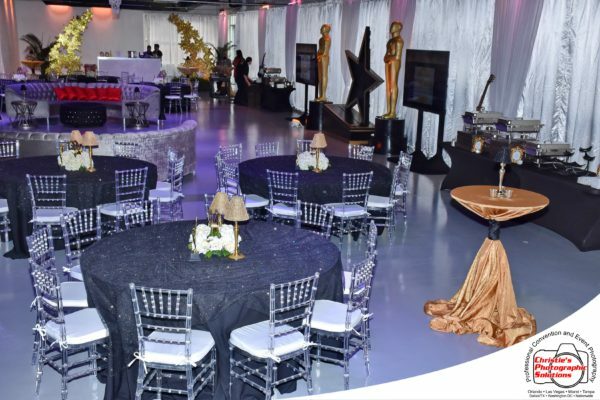 The 6’ Marquees were framed with flashing chase-lights and elevated on deco style pedestals. 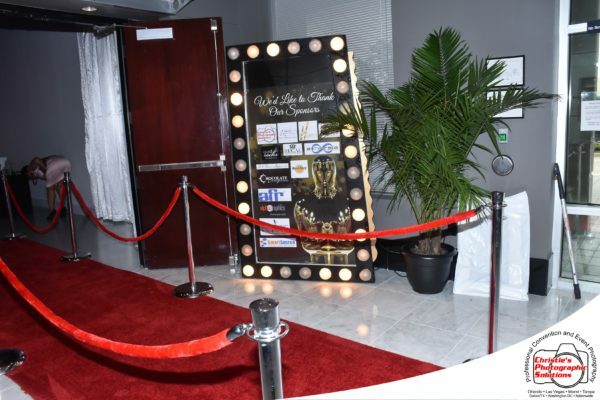 Our other set of Playbill Marquees were set in the foyer to welcome attendees, and showcase the events sponsors. 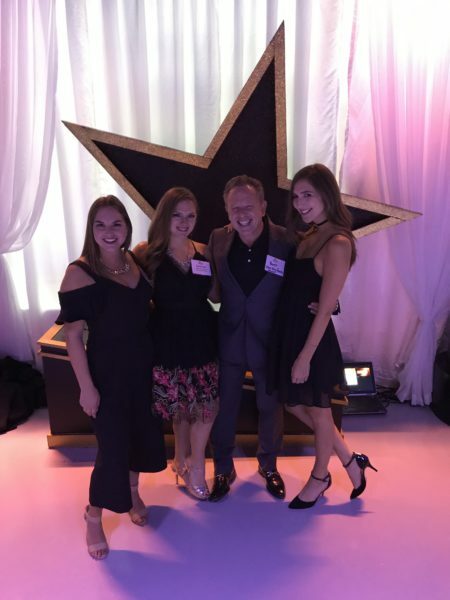 Max King Events enjoyed the opportunity to present our décor in front of other Orlando event professionals and even had the honor of being nominated for Partner of the Year! 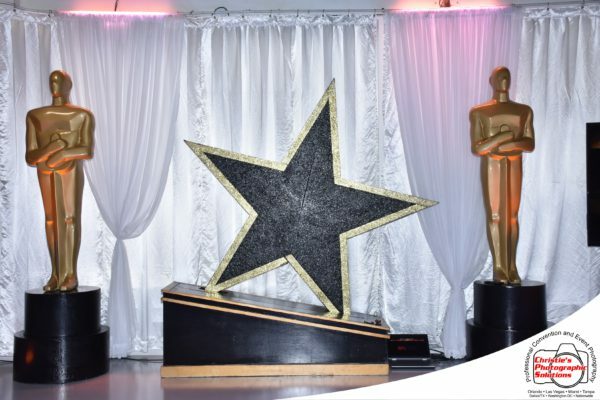 We couldn’t have done it without the other sponsors who were involved in making this event a success!